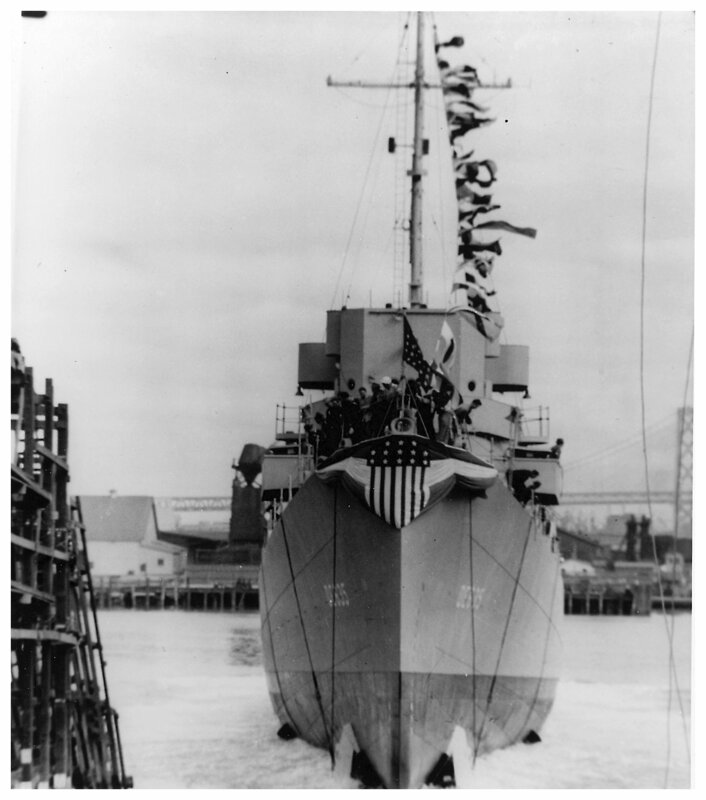 04 April 1943: Keel laid by the Bethlehem Steel Shipyard Corp., San Francisco, Cal. 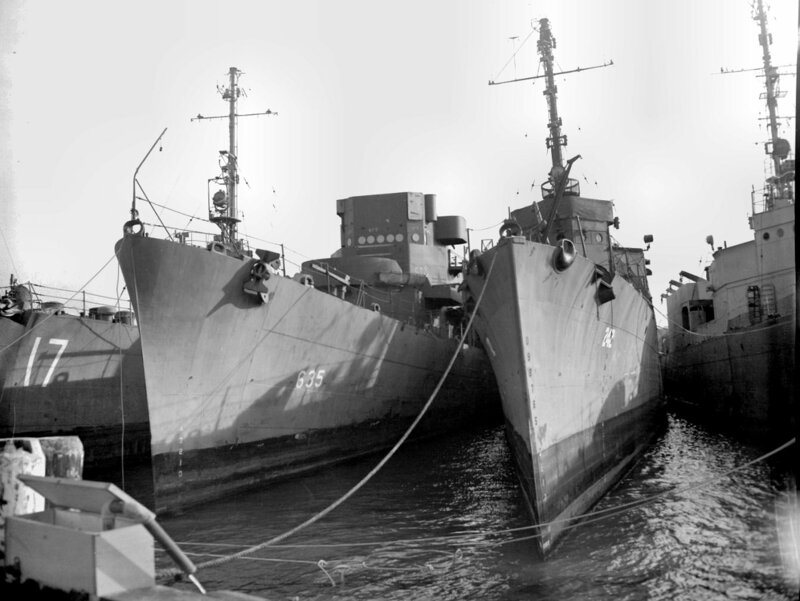 15 October 1945: Decommissioned at Philadelphia, Pa.
26 November 1946: Sold to the Northern Metals Corp., Philadelphia, Pa.
the Japanese submarines RO-104, RO-105, RO-106, RO-108, and RO-116 were posted as missing, and presumed sunk. and men and the United States Naval Service." 48k John Charles England was born in Harris, Mo., on 11 December 1920. His family then moved to Alhambra, Cal. He attended Pasadena Junior College in 1940, was a Yell King on the Pep Commission, a member of the Players Guild, were he was in the cast of their annual fall presentation of "Bachelor Born". J.C. was also a member of Delta Psi Omega, a national honorary dramatics fraternity which he acted in their annual spring production, "Outward Bound". J.C. graduated in spring, 1940. He enlisted in the U.S. Naval Reserve as an Apprentice Seaman at Los Angeles on 6 September 1940. After active duty training on board the USS New York from 25 November to 21 December 1940 he attended Naval Reserve Midshipman's School, New York, N.Y. and was appointed Midshipman, USNR, 6 March 1941. 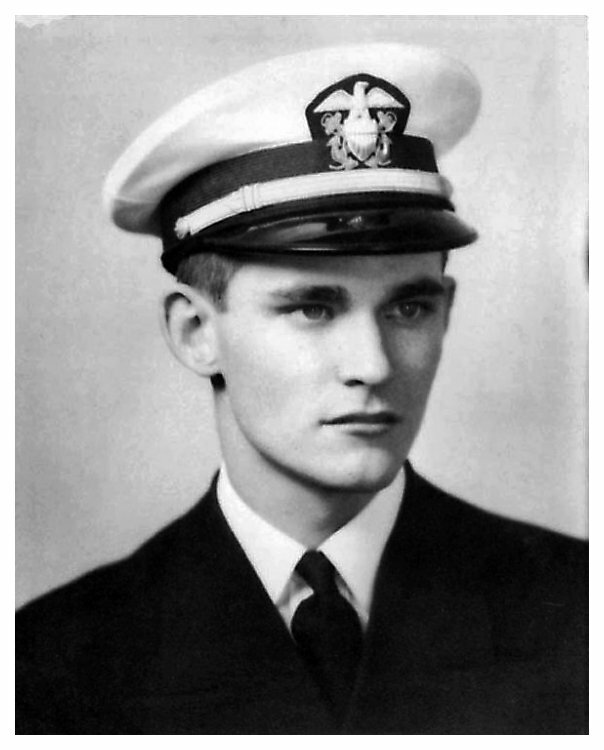 He completed his training on 5 June and was commissioned Ensign, USNR, 6 June 1941. On 3 September 1941, he reported for duty in USS Oklahoma (BB 37), and was killed in action during the Japanese attack on Pearl Harbor, 7 December 1941. Ensign England survived the initial attack and escaped topside as the ship was capsizing. He remembered the men still in the radio room. He returned three times to the radio room, each time guiding a man to safety. He left to go back below decks for the fourth time and was never seen again. 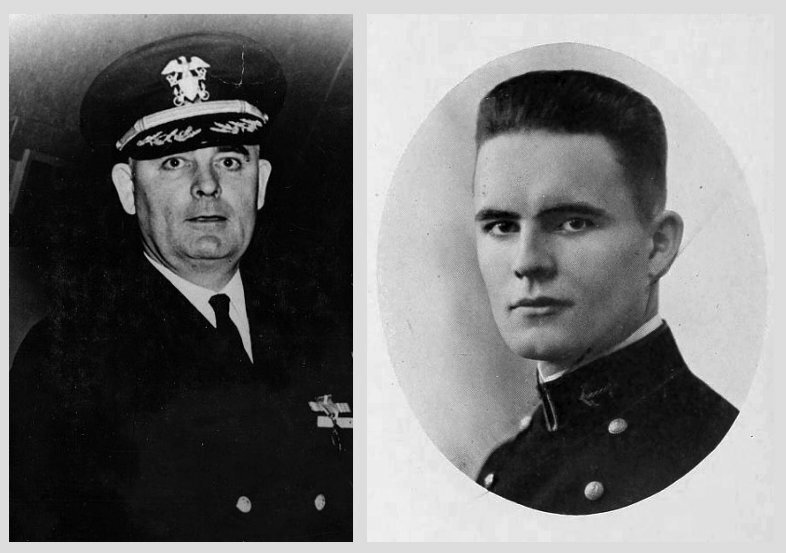 He was one of twenty officers and 395 enlisted men were killed on board USS Oklahoma that morning. Ensign John Charles England was posthumously awarded the Purple Heart. 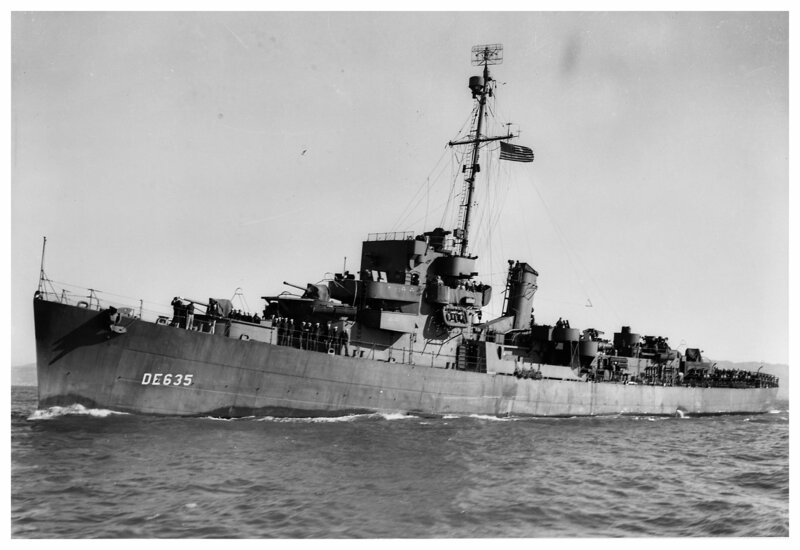 USS England (DE 635) (1943-1945) was the first ship named in his honor, she was succeeded by DLG 22 (1963-1994). 91k 26 September 1943: San Francisco, Cal. 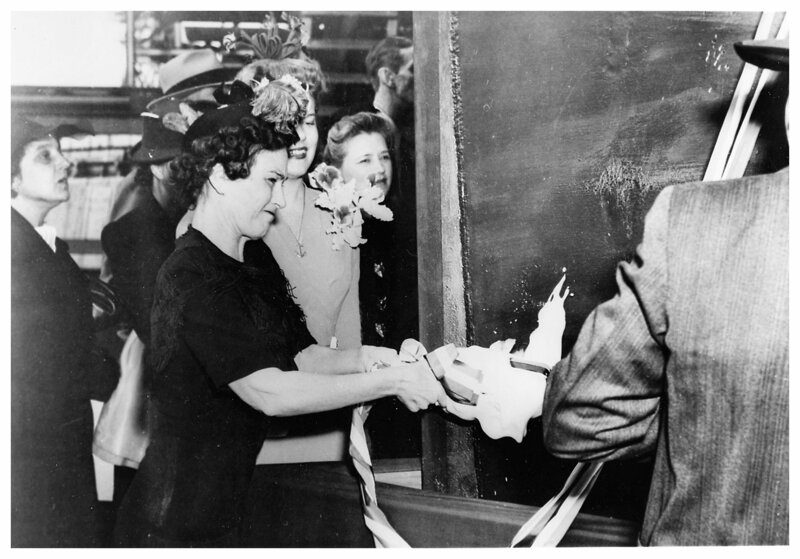 - USS England (DE 635) is christened by Mrs. Harry B. England, mother of Ensign John C. England, the ship's namesake, during launching ceremonies at the Bethlehem Steel Company shipyard. 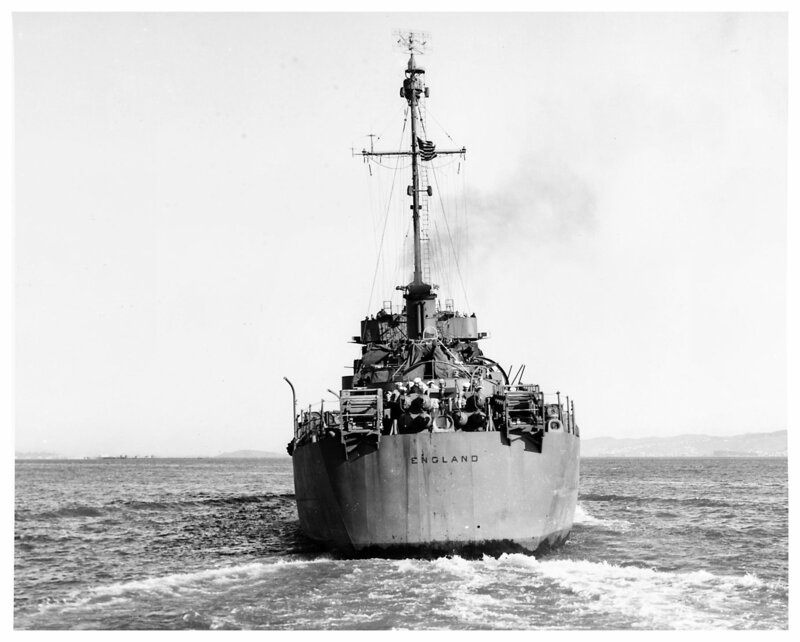 60k 09 February 1944: off San Francisco, Cal. 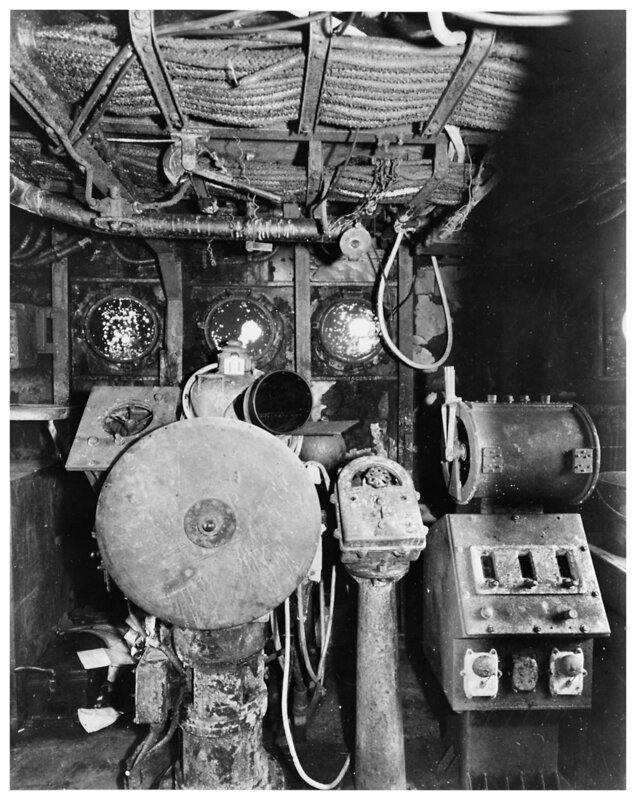 58k 09 February 1944: off San Francisco, Cal. 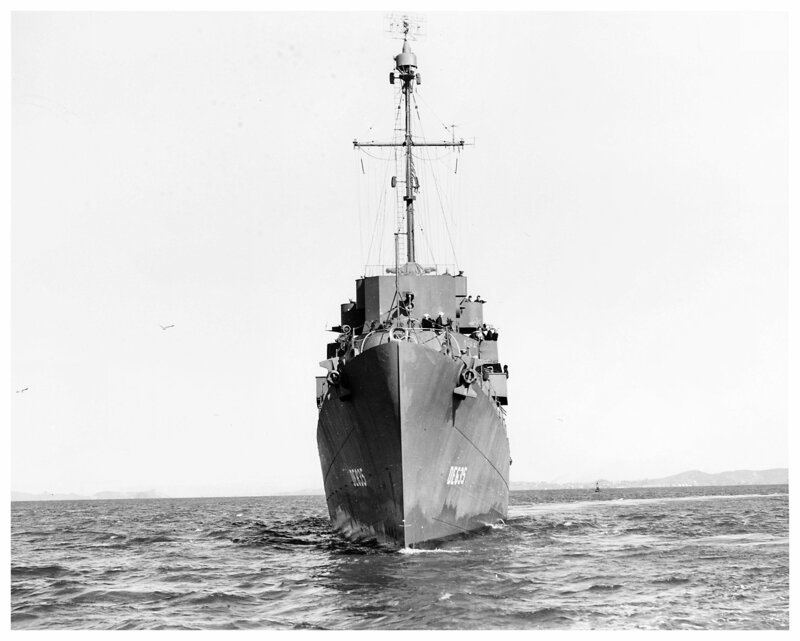 56k 09 February 1944: off San Francisco, Cal. 67k 09 February 1944: off San Francisco, Cal. 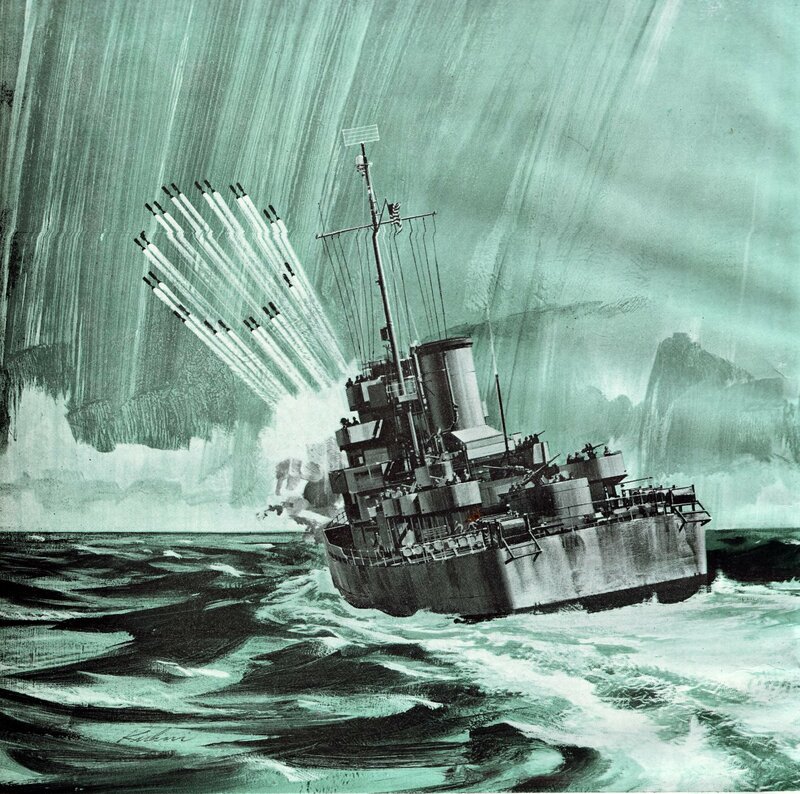 65k 09 February 1944: off San Francisco - The famous DE England, which sank six Japanese submarines in just a few days in the Pacific. Note the large rangefinder on the bridge. 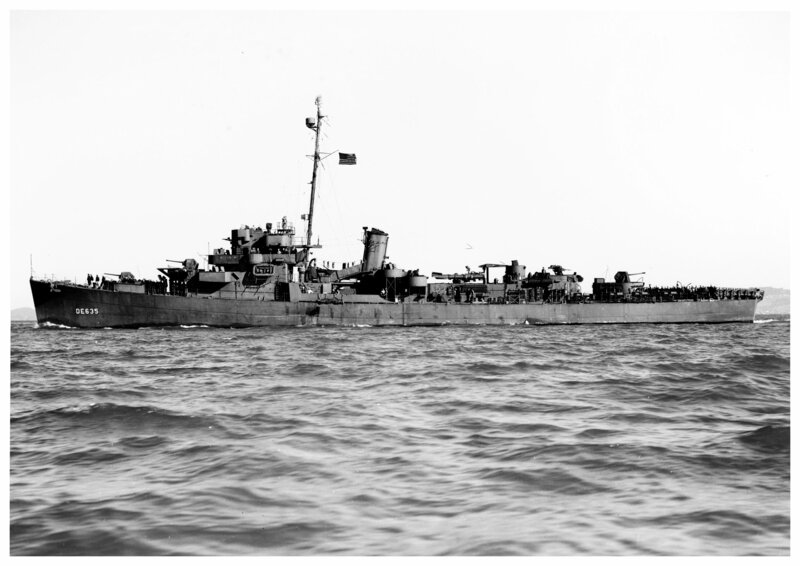 159k 21 July 1945: Philadelphia, Pa. - USS England (DE 635) lays off the Philadelphia Navy Yard. 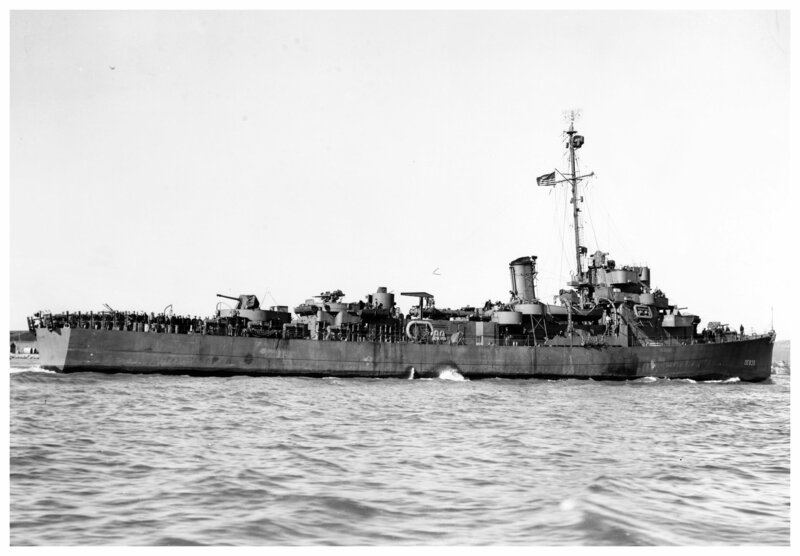 She was there for repairs and conversion to a destroyer transport (APD 41) after being hit by a Kamikaze off Okinawa on 09 May 1945. The conversion was canceled at the end of the war. 143k showing Kamikaze damaged bridge. 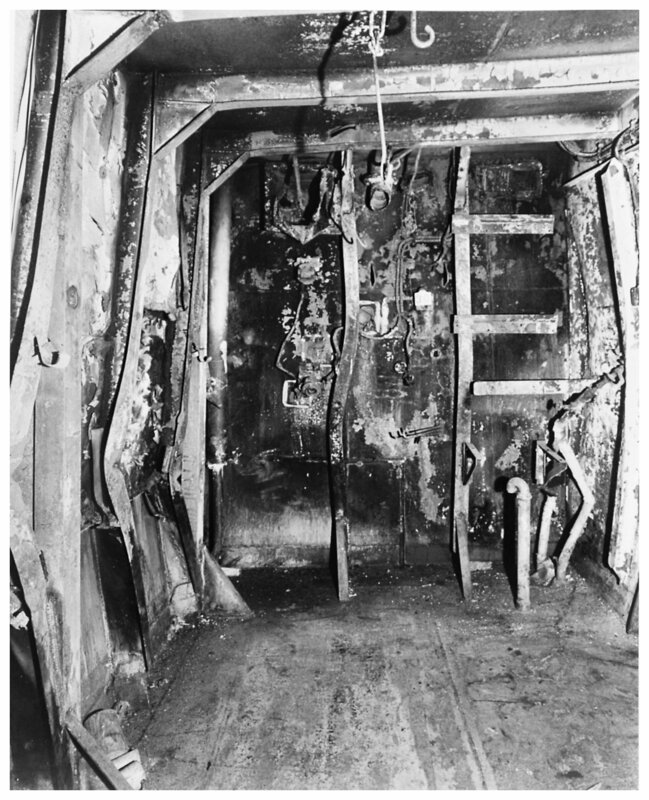 152k 24 July 1945: Philadelphia Navy Yard - Burned-out officers' stateroom in the forward superstructure, from a "Kamikaze" that hit near her bridge while she was off Okinawa on 09 May 1945. 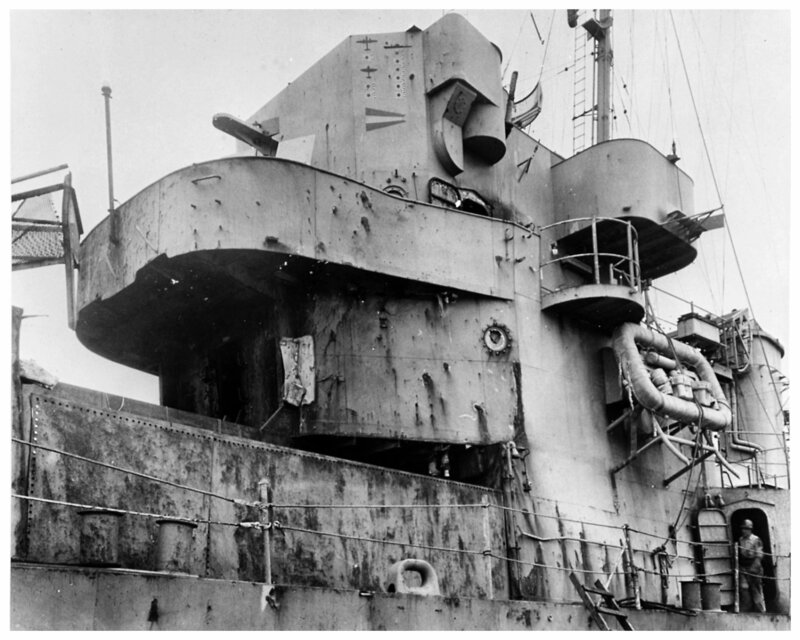 195k 24 July 1945: Philadelphia, Pa. - View of the USS England (DE 635) showing some of the damage received from a kamikaze hit off Okinawa on 09 May 1945. 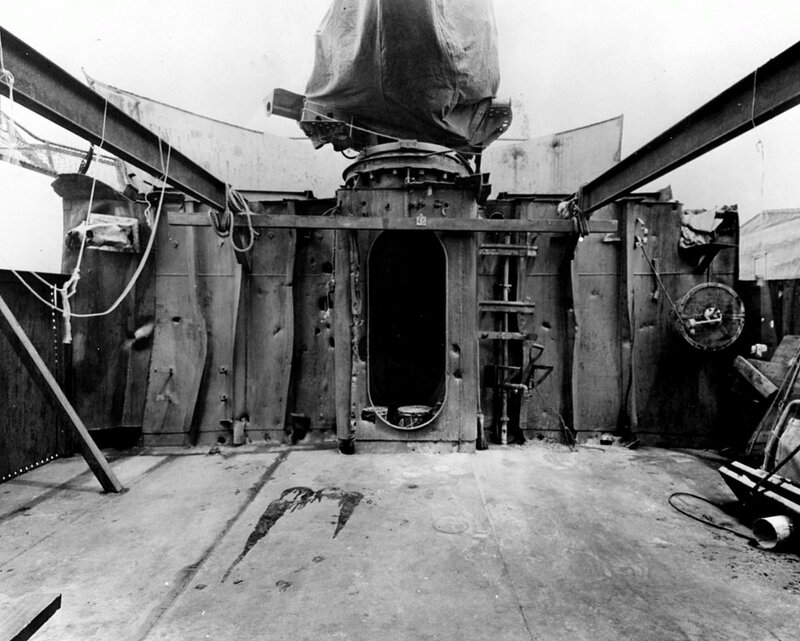 This photo shows the interior of the wrecked deck-house just forward of the bridge, looking toward #2 3"/50 gun. Photographed at the Philadelphia Navy Yard on 24 July 1945. 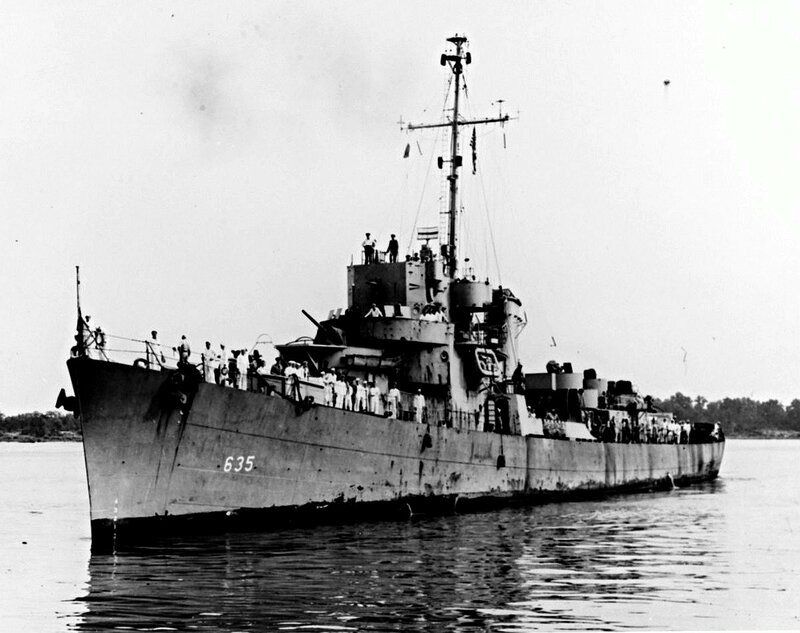 View the USS England (DE 635) DANFS history entry located on the Naval History and Heritage Command web site. 9 - 12 October 2014 at Mobile, Ala.